This is how we spend our weekends. 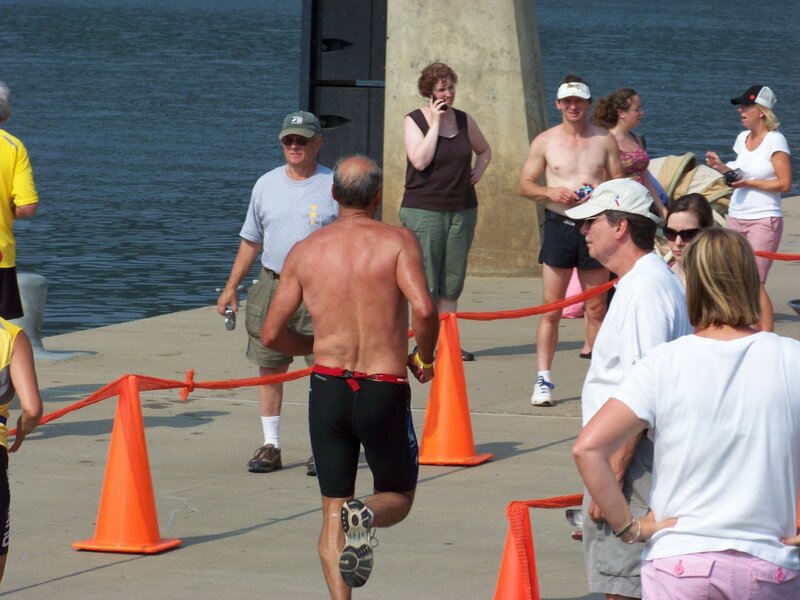 This is what a try-athlete looks like before his first Olympic length Triathlon. 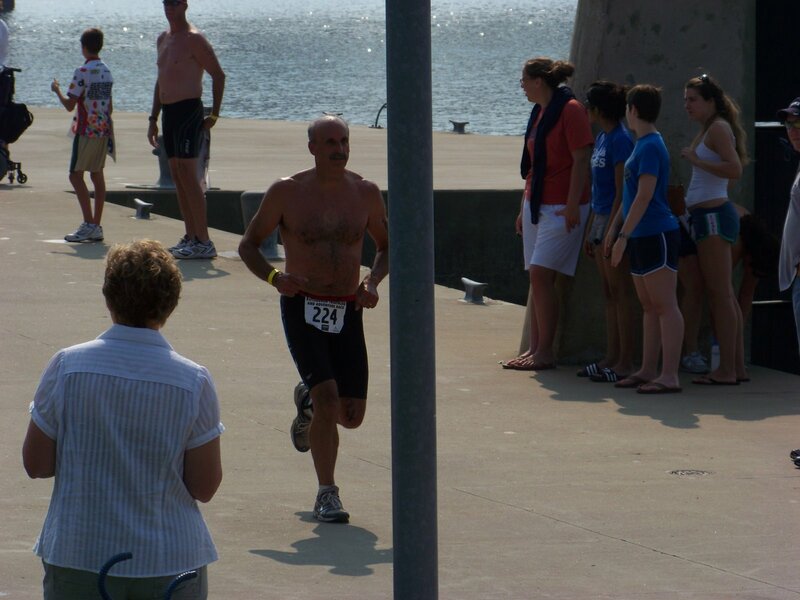 This is what he looks like coming in from the last leg of his first Triathlon. Pretty cute, huh? My honey finished this race 6th in his age group. Which is a tough age group when you realize the winner was a 50 year old man. Rich turned 50 this year. 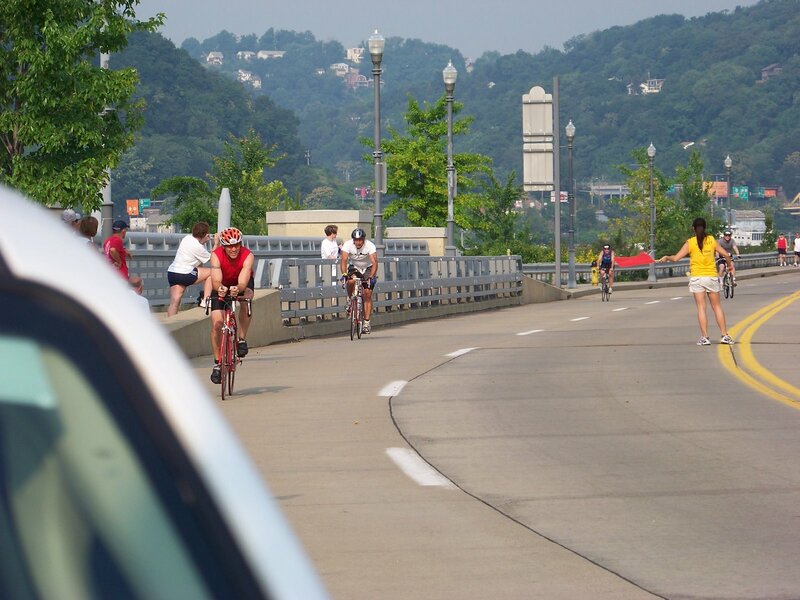 He worked very hard training all winter, rode a borrowed, 20 year old bike, didn’t know the course, had to swim upstream in the Allegheny River and still did an amazing job. 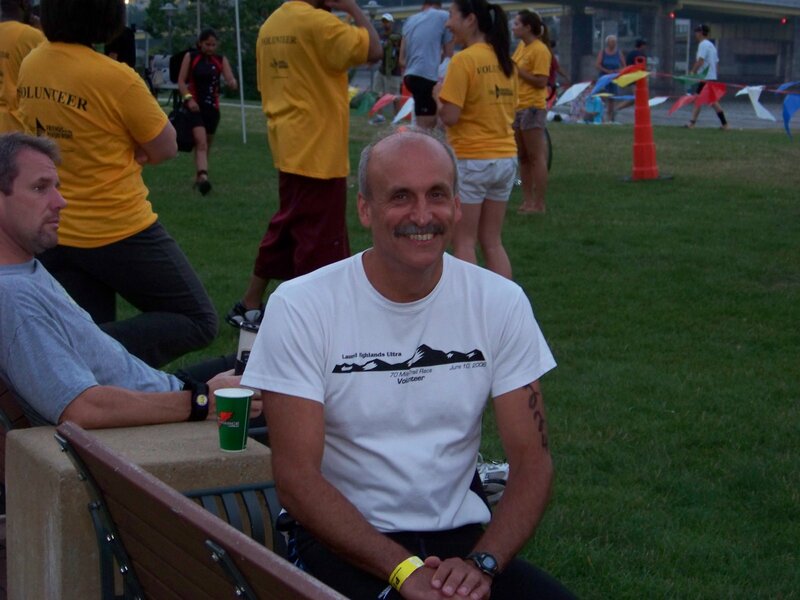 He said he though it was harder than the marathons he has run in the past and he has run Boston twice. So that’s saying something. You thought I was kidding about the swim. 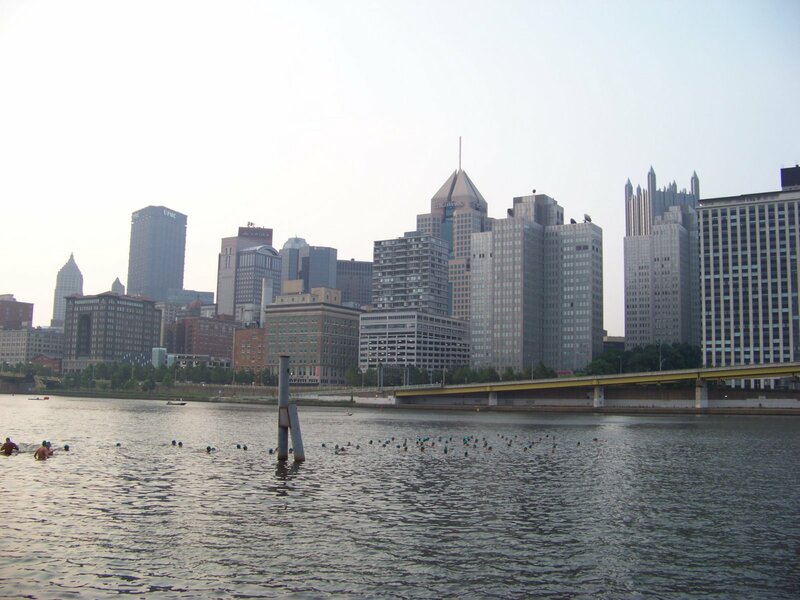 This is the swimmers in the Allegheny River with Pittsburgh on the opposite shore. A pretty view from dry land, intimidating as all get out I would imagine from the water. He is most proud of his swim and how well he did in this portion. Here he is, in the white shirt, after the 25 mile bike portion.He told me he thought some of these guys were riding bikes that were more expensive than our cars. We haven’t bought a “new” car in years so he maybe right. His time was 2 hours and 53 minutes. The winner did it in 2 hours and 1 minute. Like I said, not bad for your first triathlon. He is officially a tri-athlete! That’s so amazing! Congrats to him on the huge accomplishment! I have a friend who started doing triathlons to lose her baby weight. Just the thought of that sent me into a fit of giggles and brought on chocolate cravings. . . .